Multiway pots can cause headaches, and it’s easy to see why. More players in a pot means there are more variables to consider, and the pot size tends to grow quickly. But if you want to crush live games or low stakes games online–where loose and passive preflop play is common–you’ll need a sound approach for multiway pots. Today we’ll discuss 4 tips to help you develop that approach, and make more money as a result. As a little bonus, tips 2 and 4 include hand history analyses from Doug Polk and Ryan Fee’s ‘Multiway Pots’ module in the Upswing Lab. If you want to dominate multiway pots, the 9-hour module contains 13 videos that reveal the exact strategies used by world-class players. Join us in the Lab and level-up your poker skills now. 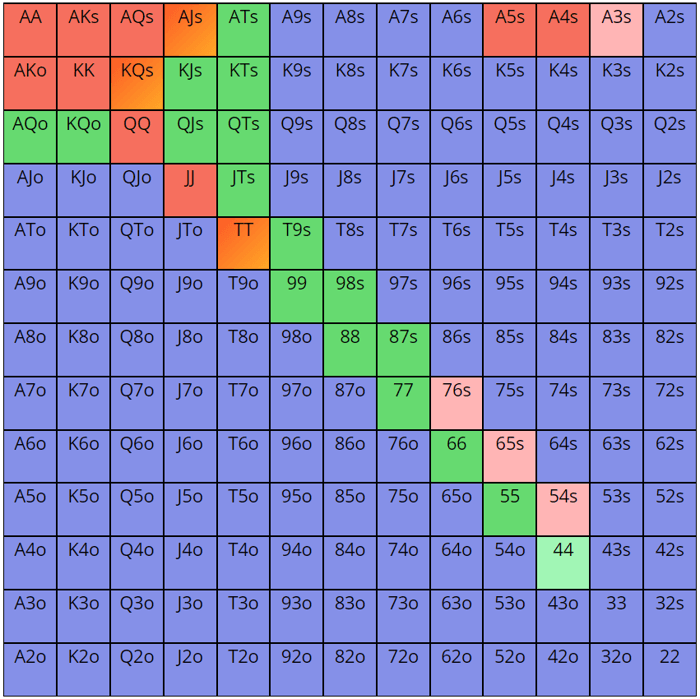 Note that while the hand history analyses focus on cash games, these strategies are effective in medium and deep stack tournament play as well. When facing a bet in a multi-way pot, you should continue with fewer hands than you would in a heads-up pot. This is because the burden of defense is shared by multiple players, rather than just you. In other words, with other players in the pot the bettor is discouraged from over-bluffing. So, you should play tighter. You should play especially tight when facing a bet with players left to act behind. Not only is the bettor representing a strong range, but the likelihood that you’ll run into a strong hand behind increases with more players in the pot. Keep this point in mind when defending from the big blind, since you will play the most multi-way pots from this position while also being at the greatest range disadvantage postflop. You should of course defend somewhat wide because of the great price you’re getting, but make sure you dump hands that will struggle in multiway pots (e.g., K2o, 94o). Multiway pots are rarely the right time to bet for thin value. Your hand’s equity decreases as more players enter the pot, thus you will need to value bet with stronger hands. utg folds. Hero raises to 2.8bb. co folds. Button calls. SB calls. bb folds. SB checks. Hero checks. Button checks. SB bets 4.4bb. Hero calls. Button folds. SB bets 8.6bb. Hero calls. SB shows and wins the hand. Doug’s thoughts: At first glance, this might seem like a conservative check from our Hero on the flop. However, it makes a lot more sense in light of the ranges at play, here. The button only has 2 combos of K9s--the only worse Kx combos from which we are extracting value. Moreover, both of our opponents can have KQ in their range, as well as bottom and middle set at some frequency. Consequently, we are targeting too narrow of a range if we start looking for value with . On the other hand, is not very vulnerable to being outdrawn if it is ahead—an ace is the only card that we really don’t want to see. With a more vulnerable top pair on a different board—with, say, on —betting would be reasonable because such hands benefit more from denying equity. But here, with KJ, we can more confidently check and take a turn. With extensive charts for online cash games, live cash games, and tournaments, you'll be prepared with a winning baseline strategy no matter what game you play. There are a number of good reasons why adopting a smaller c-bet size will improve your results in multiway pots. Most of these reasons have to do with bluffing efficiency. Since bets in multiway pots usually represent a strong range, this perception can be capitalized on by betting small with your bluffs. A small bet size will only force slightly fewer folds than a more standard bet size while giving you a significantly better price on your bluffs. That’s a welcome trade off that makes your bluffs more efficient. 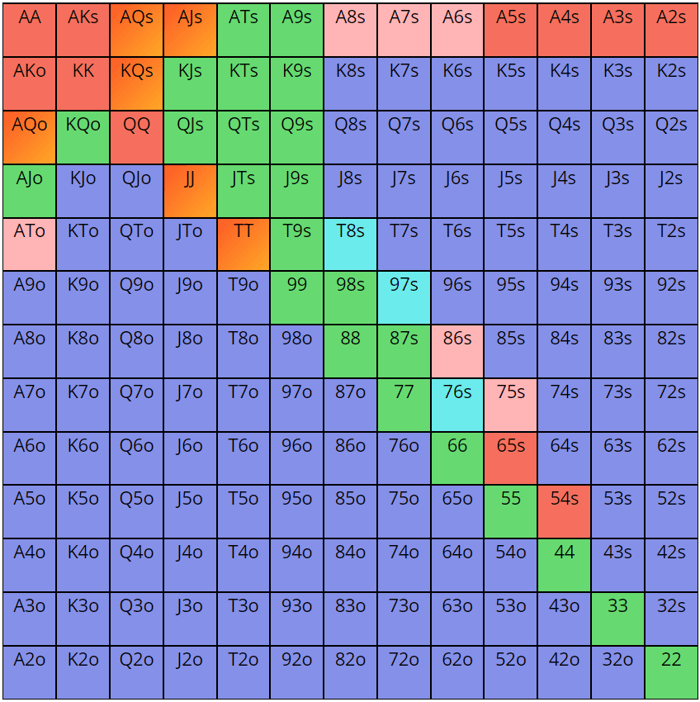 Try using a small size (around 33% pot) the next few times you c-bet in a multiway pot. I bet you’ll be surprised how often your opponents get out of the way on the flop. Another perk of using a small c-bet size is that it allows you to spread fold equity more evenly over multiple streets—a crucial goal when bluffing. Too often, players will use a standard or large bet size on the flop and turn, only to be left with a tiny, inconsequential amount left to bet on the river. Obviously, a small river bluff will struggle to force folds. To avoid being handcuffed by an awkward stack on the river, always be aware of your stack-to-pot ratio, plan ahead, and try to use a smart bet size on each street. 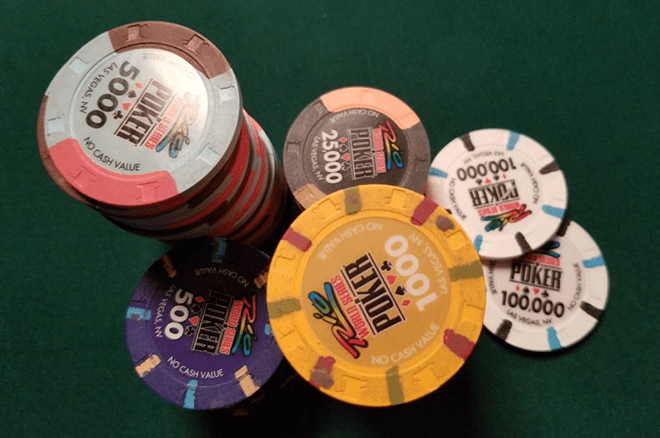 Finally, since you will have fewer value bets in multiway pot situations, you must also reduce your number of bluffs in order to remain balanced. Hero is dealt on the BTN. 3 folds. Lojack raises to 3bb. 2 folds. Hero calls. SB calls. BB calls. SB checks. BB checks. Lojack checks. Hero checks. SB checks. BB bets 9bb. Lojack folds. Hero folds. SB folds. Ryan’s thoughts: When the preflop aggressor and blinds check to our Hero, it will be tempting to bluff. After all, we’re drawing to the nuts on any non-heart ten, and blocks the strongest and combos, which are likely to call. However, we have many better hands to bluff with, specifically those with less showdown value. We can have numerous flush draws ( , , , , etc. ), which are more appropriate to bluff with given their weak value at showdown. It’s worth noting that if we had a heart in our hand, particularly the , this hand would be fine to bluff with. This is because we would be presented with a great triple barrel spot on any turn that brings a heart. But if we bet without a heart, as well as low flush draws, we run the risk of over-bluffing in this spot--an exploitable mistake we should avoid. Tighten up versus bets to account for strong betting ranges and players behind. Avoid thin value betting, especially with not-so-vulnerable hands. Use small c-bet sizes to make your bluffs more efficient. Reduce your number of bluffs to balance your tighter value betting range. Armed with this advice, you should be prepared to tackle your next multiway pot.